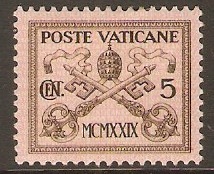 Vatican City 1929 5c Brown on rose. SG1. 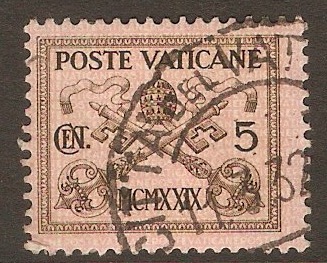 Mounted mint 1929 5c Brown on rose. SG1. Fine used 1929 5c Brown on rose. SG1. 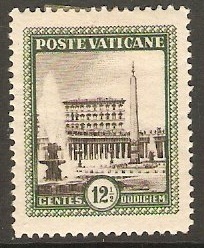 Mounted mint 1929 10c Grey-green on green. SG2. 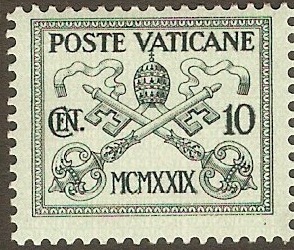 Fine used 1929 10c Grey-green on green. SG2. 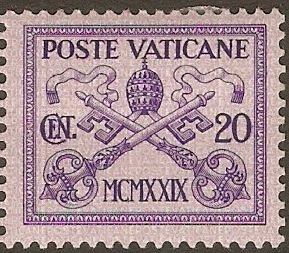 Vatican City 1929 20c Violet on lilac. SG3. 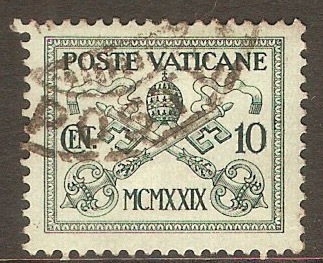 Mounted mint 1929 20c Violet on lilac. SG3. 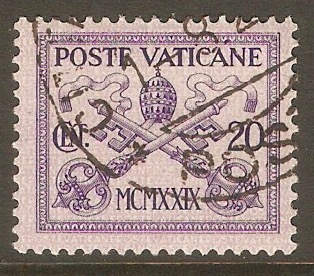 Used 1929 20c Violet on lilac. SG3. 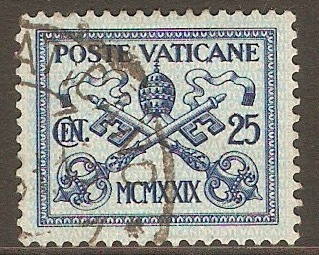 Vatican City 1929 25c Blue on azure. SG4. Used 1929 25c Blue on azure. SG4. 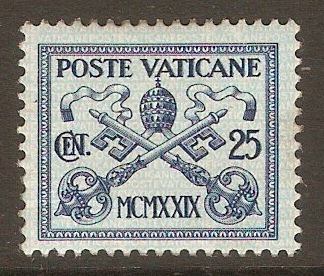 Mounted mint 1929 25c Blue on azure. SG4. 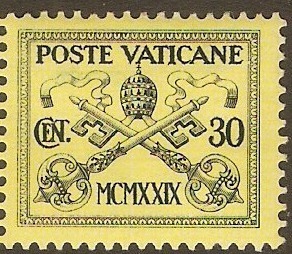 Mounted mint 1929 30c Black on yellow. SG5. 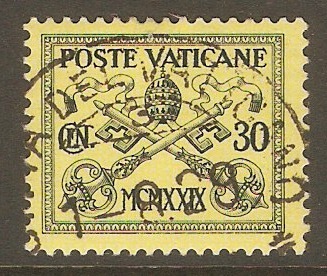 Vatican City 1929 30c Black on yellow. SG5. Fine used 1929 30c Black on yellow. SG5.